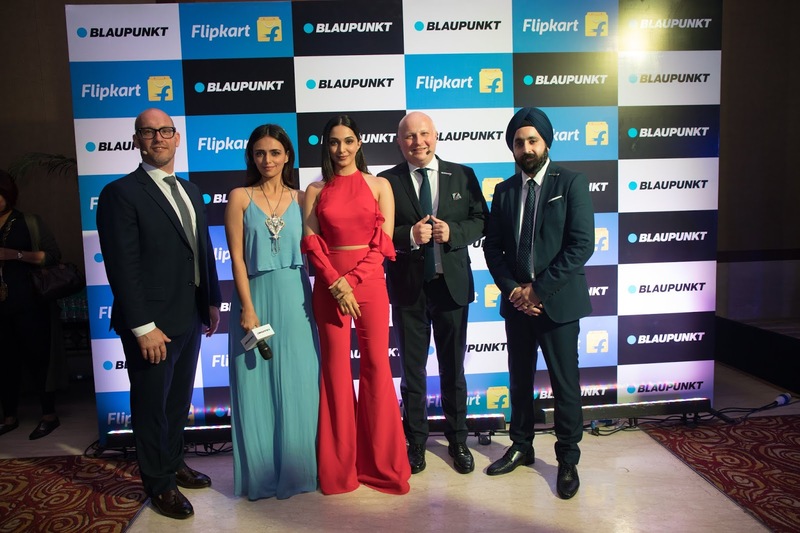 Blaupunkt, one of the most admired German consumer electronics brands, accredited with the tag of “Brand of the Century” is making a trailblazing entry into the Indian LED Televisions market. Blaupunkt has unveiled 3 series of its LED Televisions at IFA Berlin on 31stAugust 2018 in Germany. Subsequently, the Global Management Team of Blaupunkt launched these 3 Series on 11th of September 2018 at The Lalit, New Delhi. The key Members of Indo-German Trade Commission, Kiara Advani (Bollywood actress & Netflix sensation), and Dr. Jai Madaan (renowned motivational speaker and astrologer) attended the brand launch event with several other dignitaries. It was a grand show the Germans put up; the ambience was futuristic and on the countdown, there were 2 of the best-in-tech LED televisions unveiled on stage. The star models—55-inch 4K UHD LED TV and 50-inch FHD Smart Sound Series when unveiled in a hi-tech dramatic manner; one could realize why the Germans took their time to enter India with a great selection of LED televisions. Blaupunkt LED Televisions can surely be a style statement to any quality discerning Indian customer due to its new age features, including AI capabilities and sleek charismatic design. Finally, the entire range of Blaupunkt LED Televisions that included the 4K UHD Series, Smart Sound Series) and Family series was unveiled and displayed as the Germans shared the features and USP’s of its all three series. The 4K UHD Premium Series has three LED Models that have the inbuilt sound bar of 60 W— the 43-inch, 49-inch, and 55-inch, where 55 inch is the flagship model of Blaupunkt. It is India’s 1st voice enabled android open source television. The customers can now find the Broadcasted channels and Internet on same platform with the ease of one remote. All these LED TVs offer high-resolution display, are Quad Core enabled and have 178-degree view angle. The 4K UHD Premium offers connectivity through WiFi, Miracast option, has multiple ports and RJ45 Ethernet. With smart air mouse voice enabled feature, search your favorite programs /apps in a flick of a second. The best part is that the 55” television has 60 W in-built sound bar so that you can enjoy brilliant audio output. The Smart Sound series has three models available in 32-inch, 43-inch, and 50-inch, having additional sound bar, so a viewer can get 30+60 W sound output. The Smart Sound series comes with a FHD & HD resolution, supports WiFi, has Miracasting and 178-degree viewing angle feature and multiple ports option. It has two inbuilt box speakers that give a cinematic sound experience to the viewer. The connectivity features include three HDMI, two USB, and RJ45 Ethernet. AI-driven smart user interface helps viewers to get the best content from TV channels and internet on the same platform via Universal search feature. The slim metallic bezel in this series makes the television aesthetically attractive. With smart air mouse, one can enjoy futuristic TV viewing experience. 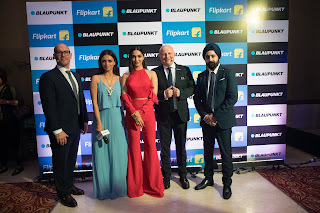 In order to reach this affordable luxury product to the length and breadth of India, the German brand has tied-up with online retailer Flipkart for exclusive sales arrangement and the 8 models from the 3 Series of Blaupunkt will be unveiled at Flipkart on the 11th September and would be readily available for purchase from 18th September onwards. · The 4K UHD Premium Series 43” will be available on Flipkartat a selling price of Rs.30, 999. 4K UHD Series comes in 49” and 55” inches, making it 3 sizes in this series. · The HD Smart Sound Series 32” will be available on Flipkart at a selling price of Rs.16, 999. Full HD Smart Sound Series comes in 43” and 50” inches , making it 3 sizes in this series. · The Family Series HD 32” will be available on Flipkart at a selling price Rs.12, 999. Family Series has another 43” inches Full HD model.